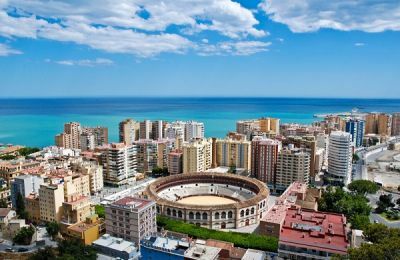 "Arriving at a busy airport like Madrid, you'll realise the benefit of pre-booking your hire car." *daily rates in Madrid Airport based on a 1 day rental (24hr period) and for guidance purposes only. Madrid Airport Car Hire - Did You Know? Madrid Airport’s Terminal 4 is the second largest in the world. Only Hong Kong’s Terminal 1 is bigger. Over 45m passengers used the airport last year. The terminal was designed to relieve stress in waiting passengers by the use of natural light and the ambience of its surroundings. The Madrid-Barcelona air link is the busiest in Europe. Madrid is the European hub for flights to South and Central America. Madrid-Barajas International Airport (abbreviated MAD) is just outside Madrid's city limits and has metamorphosed into one of Europe's key airports. It is simply massive and offers a huge variety of routes, facilities and services for holiday-makers and business-travellers alike. The airport was voted the world's best in 2008 and now a lease for the next forty years has been put out for tender. This airport is one of the top 5 busiest in Europe and is within the top 12 busiest airports of the world. It is a main hub for national Iberian Airways and hub for several European carriers. 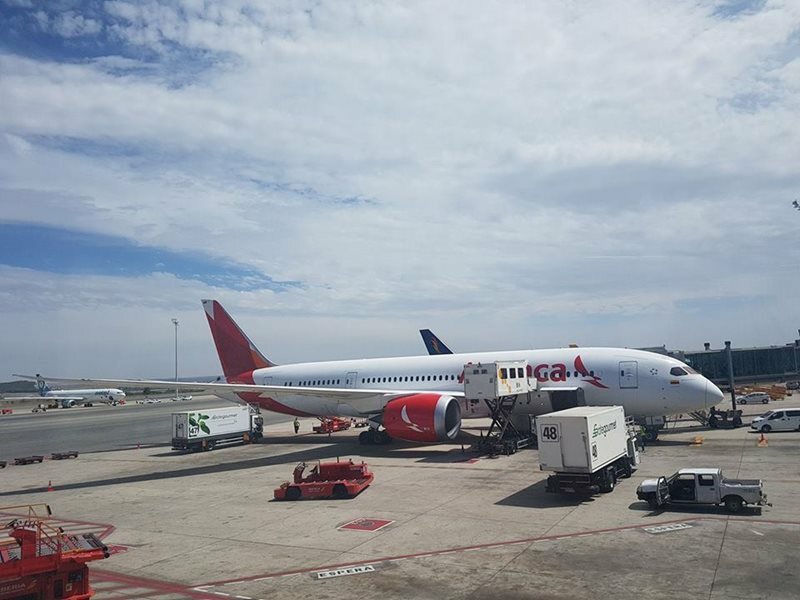 Madrid welcomes an average of 45 million passengers per year, arriving from an array of worldwide destinations, with one of 80 passenger airlines. It provides vital connections to and from Latin America. 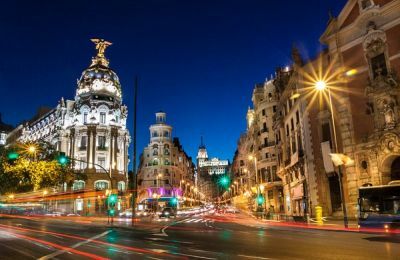 Whether you are venturing into historic Madrid, visiting the financial district for business, or touring further into Spain and beyond, you are spoilt for choice of how to travel. 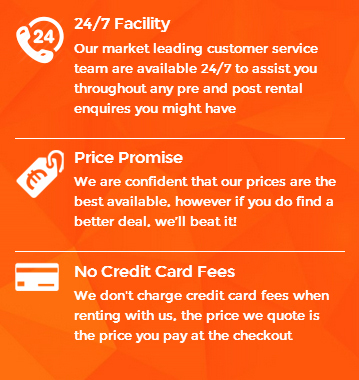 For comfort and convenience car hire is an excellent choice. If you have hired through Rhino, collect your vehicle from one of several points in this vast airport (confirmed upon booking) and away you go. Public transport is excellent, including rail, bus routes and taxis. Then of course there are numerous onward national and international flights. The most popular is the Madrid-Barcelona Puente Aero shuttle. This is one of the busiest air routes in Europe, with a slightly informal approach bearing similarities to catching a bus. 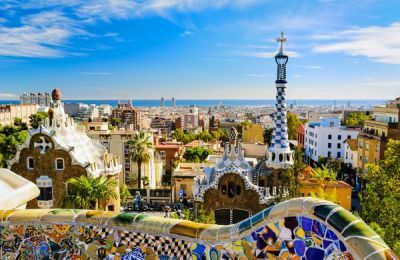 If you prefer to stay on terra firma, the high-speed railway goes from Madrid to Barcelona and there are future plans for high-speed trains to reach the airport station. There are several routes into central Madrid: by rail, take Metro Line 8 which connects the airport and city centre, with links to other stations in the Spanish railway network. Local buses run a regular schedule between the airport and city, including an express bus to and from the main rail station. There is a huge list of available long-distance routes and the night bus ("Buho" or Owl) which stops a few hundred metres outside the airport. At Madrid there are four terminals and four runways. Facilities have been designed for up to 70 million passengers, so there is still plenty of room for manoeuvre! Money-wise there are exchange and banking services, a Post Office and ATMs. Spend quiet time in the chapel, take advantage of the nursery for little ones and enjoy the convenience of several service stations. Conference and meeting facilities are available and there are several lounges for VIPs. Shopaholics are in danger of exceeding their baggage allowance with more than 100 shops offering clothes and accessories, gifts and jewellery, cosmetics and perfumes and so much more! 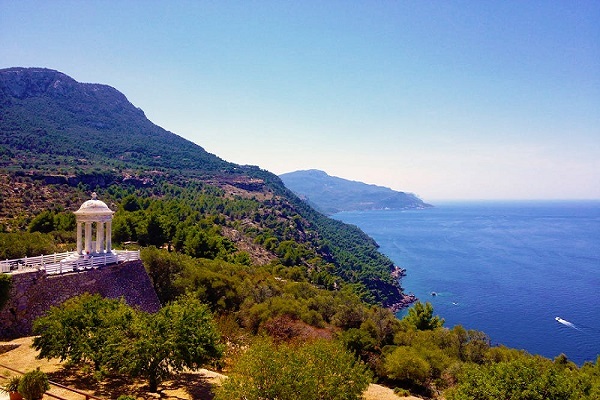 Whether you want a quick drink, a full-on gastronomic treat, or a last fix of tasty tapas, with over 30 eating establishments to choose from you are sure to find anything that your taste buds desire. A free assistance service is available at 48 hours notice; with a direct phone number and website. You will be asked to attend a meeting point where, depending on your level of mobility, appropriate support will start. Facilities are excellent and include adapted equipment. 27/04/12 - A slight drop in passenger numbers to Madrid-Barajas Airport this year was caused by the failure of low cost carrier Spanair which had many routes into the airport. Discussions are underway with new Spanish carrier Volotea, to take over many of the routes. 07/02/13 - Only one new route has been introduced for 2013 to Eindhoven. With the extension of the high speed train link into southern France, the prospects for Madrid Airport's growth now look limited as the train now offers a viable alternative. 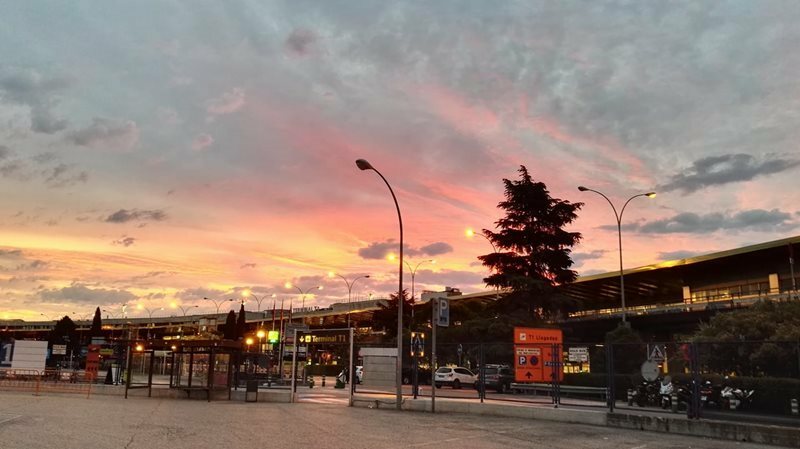 Madrid Barajas Airport is an incredibly busy airport and it’s because not only is it the arrival airport for the capital but also for those wanting to travel around the beautiful Castile Leon region of central Spain. To do this, car hire is essential as the distances can be large. In Madrid itself there is much to see including the world renowned Prado Museum and the Reina Sofia Art Gallery. Outside the city the floor of the plains looks up to citadels and fortresses crowning the hills which protected the region for centuries..